Stinger “Micro” double action out the front knife (DA – OTF knife). 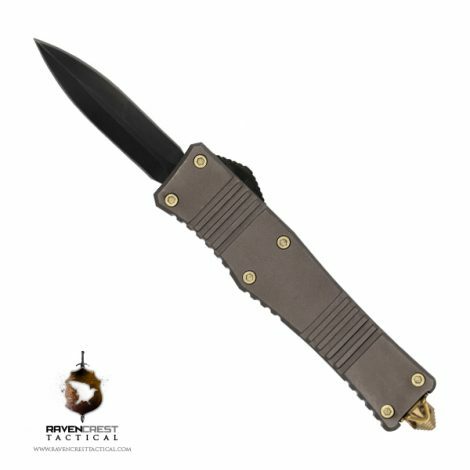 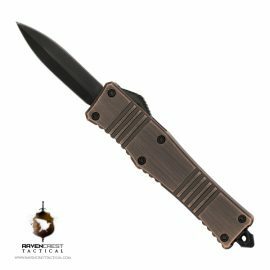 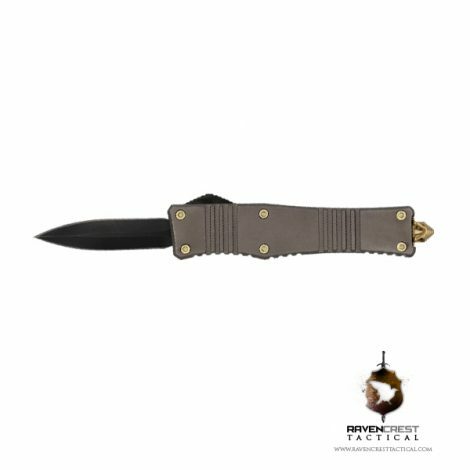 The Stinger “Micro” is a California legal fully automatic double action OTF (out the front) knife that comes standard with CNC machined “almost patina like” gunmetal handles and satin finish blade. 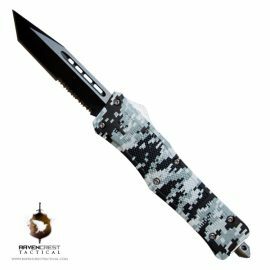 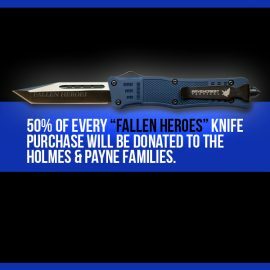 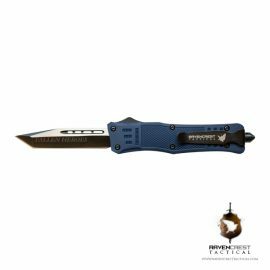 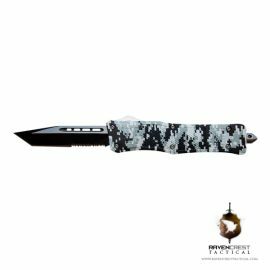 The attractive Stinger OTF knife comes complete with both metallic blue and black components along with black screws for a “micro” level of customization and personality. 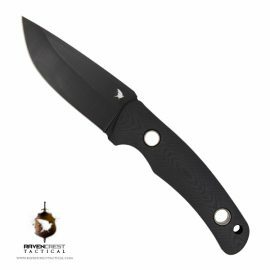 The blade on the Stinger OTF knife is a razor-sharp Bowie inspired blade that forms into a needle-like point. 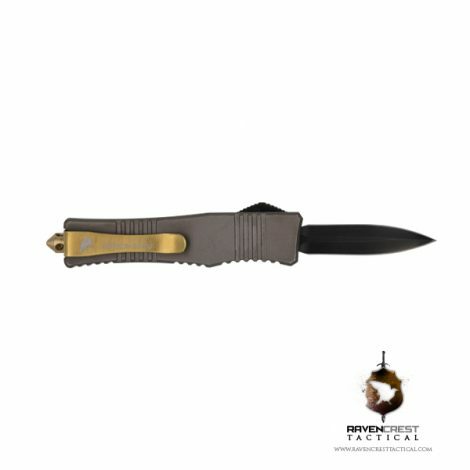 Jimping is purposefully placed along the bottom of the Stinger’s handles to provide extra grip right where you need it. The pocket clip allows for deep carry and easy access making the Stinger OTF knife almost disappear (the pocket clip also has a “loop” that will fit most keychains). 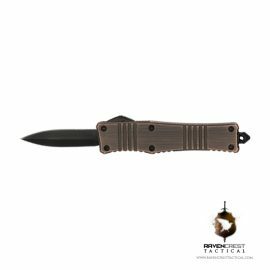 The CNC machined button provides the perfect grip and feel when deploying the 2” Cali legal blade. 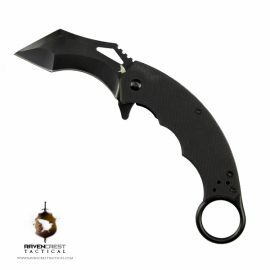 To top it off the Stinger comes with a fully functional glass breaker. 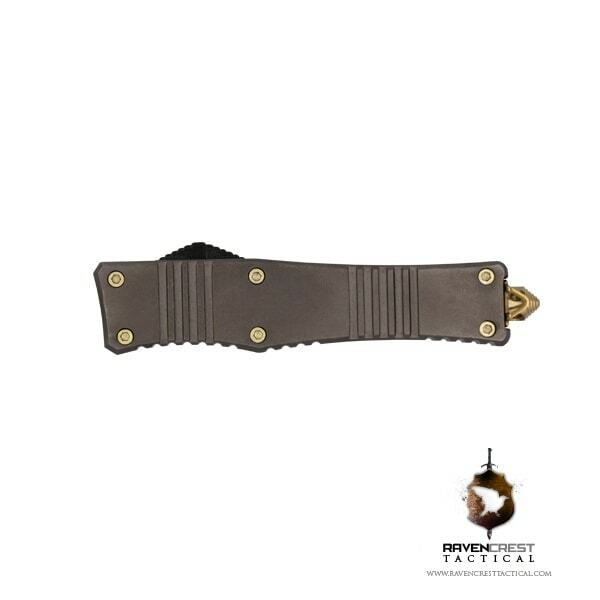 The Stinger “Micro” Tactical OTF knife is the perfect all around “utility” knife. Sleek, small and lighting fast… There’s really no reason not to have one… or two. 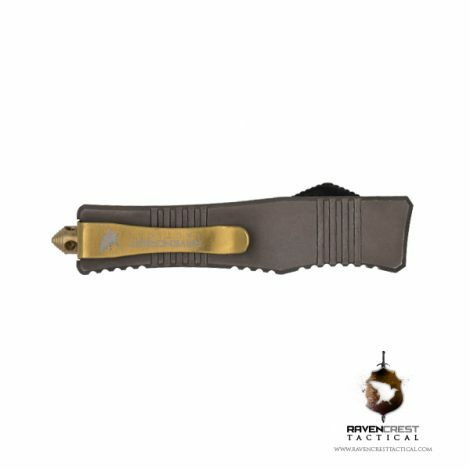 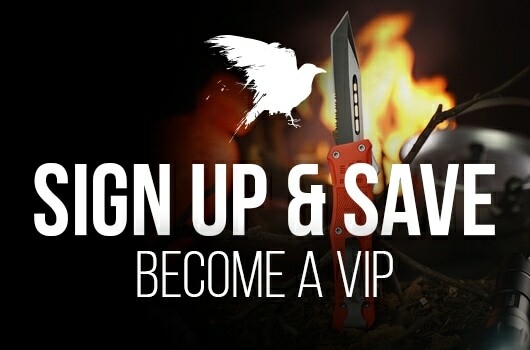 This may just become your new favorite tool.